Well…it’s been a while hasn’t it? After around eight years, another Rozen Maiden anime has come out, thanks to Studio Deen. 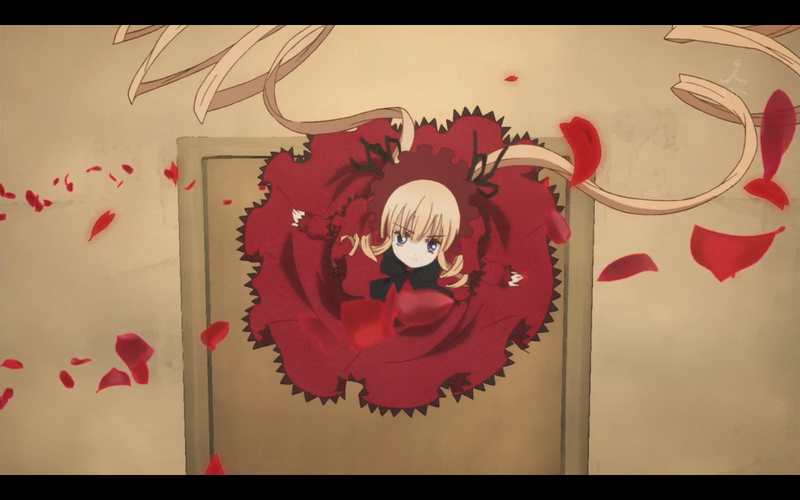 Before we go any further, you need to know that Rozen Maiden (2013) is not exactly a sequel to the first two seasons. The original Rozen Maiden anime series diverged a bit from the manga, but this one intends on being an adaptation of the part II of the manga. What happened to the entire story from part I of the manga, you ask? It’s been condensed into a recap episode to start off this new series. That’s right; roughly the first eight volumes of the manga were crammed into one episode. Personally, I think this was a very bad decision, as it is bound to confuse newcomers to the Rozen Maiden series. I guess the choice to recap all of the major events of Part I was meant to refresh the memories of old fans. So, if you are new to the whole Rozen Maiden story, it may be best to go read the manga. You may also want to revisit the manga if you were a fan of the original anime, as you may want to pick up on more details. His anger and confusion are both justified. As far as story goes, this episode barely explains anything and really rushes you through all of the character introductions. There is a serious lack of flow and consistency in the episode, so I’d recommend you refer to the manga for a complete grasp of the story. Although the story-telling was a mess, you will get the gist of the events at the very least. So a shut-in by the name of Jun receives a message asking if he wants to “wind up” or not. After choosing to wind up, he soon realizes that this refers to the winding-up a mysterious doll that appeared at his front door. 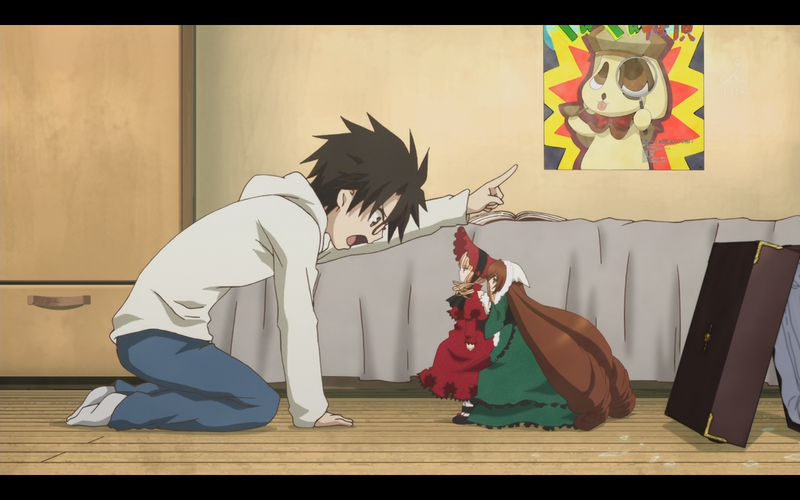 Upon performing the action, the doll becomes animated and introduces itself as Shinku. Following this event, Jun’s room is barraged by multiple dolls one at a time. 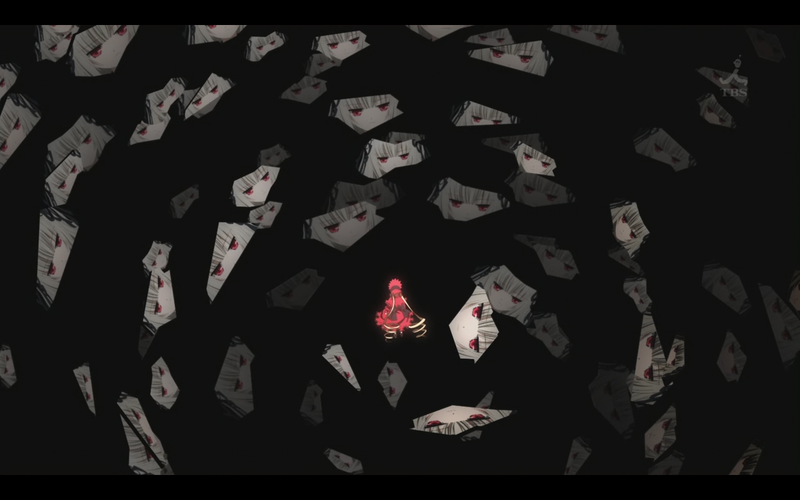 Jun soon learns that there are six dolls in total and their awakening marks the beginning of the Alice Game, where the dolls must fight each other to the death to gain their souls, or rosa mystica. The story then rushes through a ton of events and two dolls end up dead before the episode ends. Seriously, you should try to read the manga, since this episode is only meant to be a memory refresher. While I am very displeased with Studio Deen’s decision to use the first episode as a “recap” of the manga’s first 43 chapters, I did enjoy some aspects of this new adaptation. The new art and animation looks amazing, to say the least. The colors are very vibrant and the overall presentation is well-detailed and artistic. Along with the visual improvements, the studio managed to bring back all of the voice actors from the original anime series, which is a huge plus for old fans. The opening is also done by Ali Project again, which is to be expected from this series in particular. 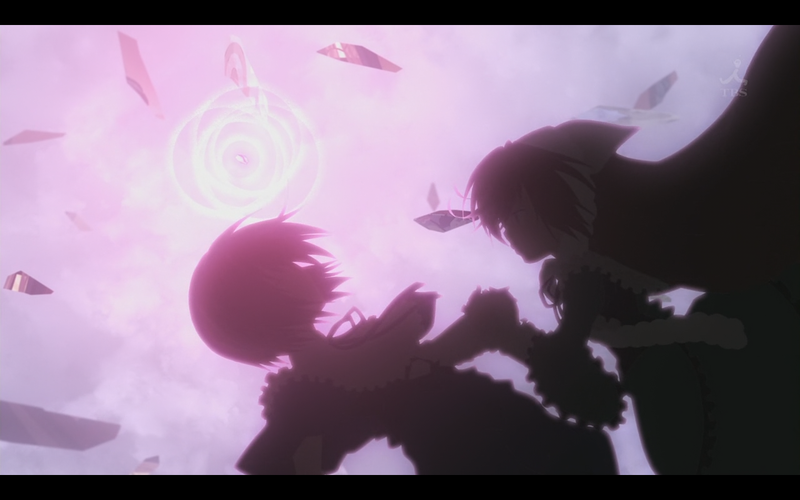 I was very happy with the opening song, as it was fitting and reminded me of the other Rozen Maiden anime. Despite the setback of this first episode, I think next week’s episode will be much better paced and reasonable for those more familiar with the characters and story. Well, I’ll be certain to re-read the manga very soon, so I wish the best of luck to everyone willing to stick with this new adaptation.